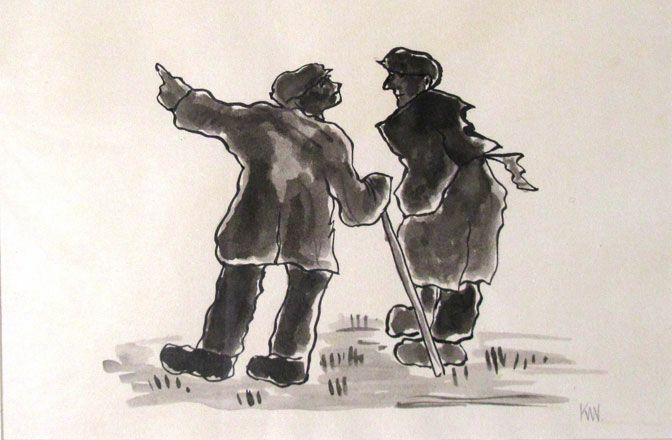 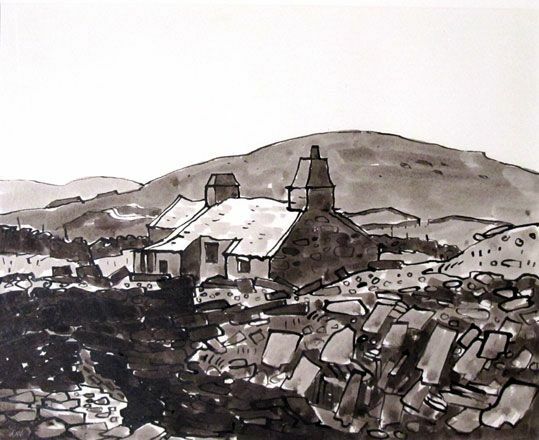 Martin Tinney Gallery and Oriel Tegfryn are delighted to mark the centenary of Sir Kyffin Williams' birth with a selling exhibition of paintings and works on paper. 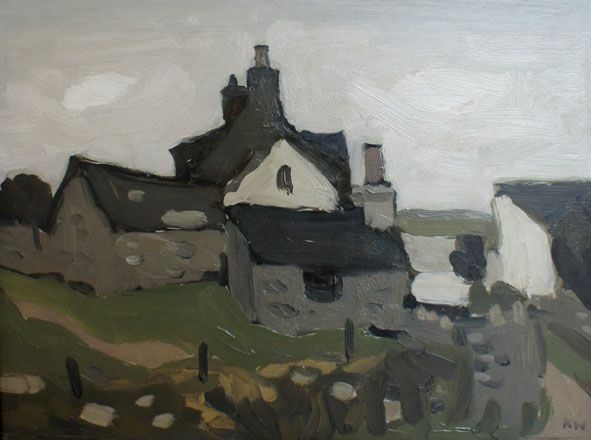 Kyffin Williams is regarded as Wales’ pre-eminent and most influential artist of the second half of the 20th century and one of Britain’s greatest landscape painters of that period. 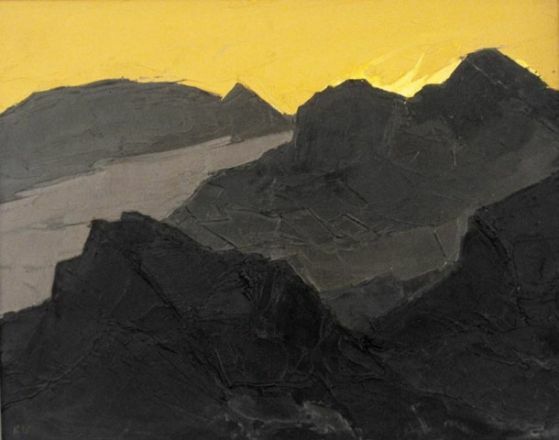 The paintings in the show span the artist’s career from 1950 to 1990, a period during which many would assert he produced his strongest work. 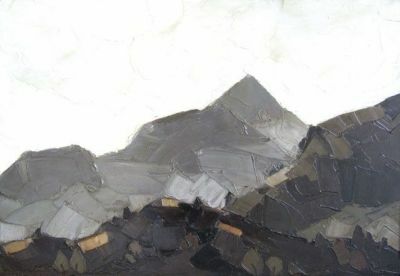 Many of the works in the exhibition come from private collections and notable highlights include a very large (90 x 180cm) painting commissioned for Hawarden Castle, Sir William Gladstone’s former estate in north Wales. 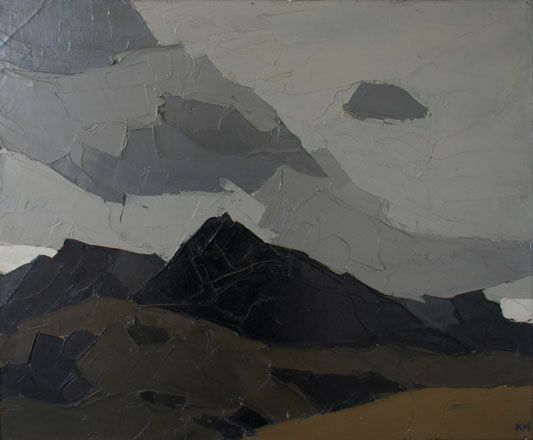 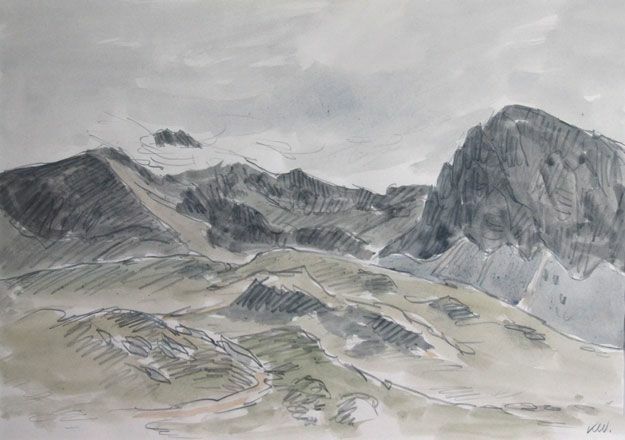 There is also a magnificent large painting of Y Fron, near Caernarfon, which Kyffin swapped with Gwilym Prichard, that other notable Welsh landscape artist, for one of the latter’s paintings. 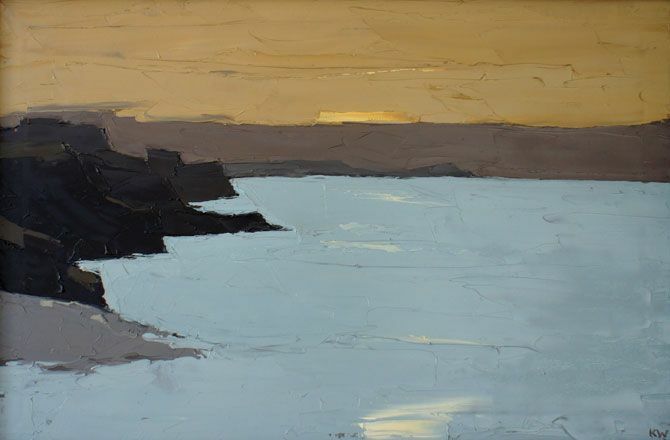 This wonderful painting by Kyffin has never been on the open market before. 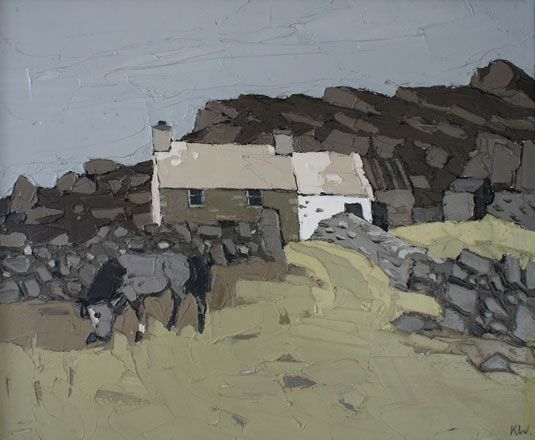 Other works include a wonderful early oil painting of Clegyr Boia near St. David’s, Pembrokeshire, several classic Snowdonia paintings, and an exceptional oil of Capel Tabor, Pentre Pella which was previously exhibited at the National Museum of Wales. 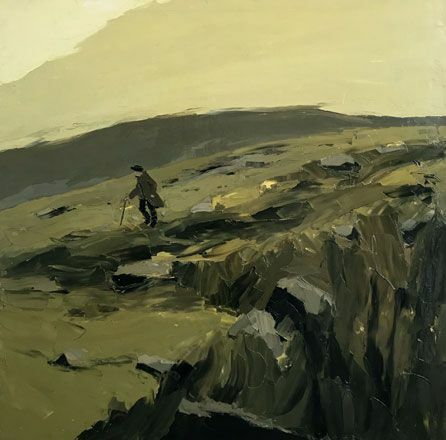 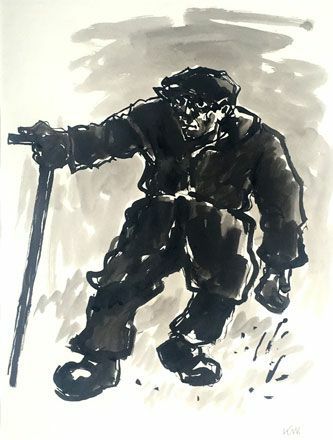 The exhibition will preview from 14 – 22 April, very appropriately, at Oriel Tegfryn Gallery in Menai Bridge, Anglesey, Kyffin’s original and long-time gallery, before transferring to Martin Tinney Gallery in Cardiff for the exhibition proper which runs from 26 April – 2 June. 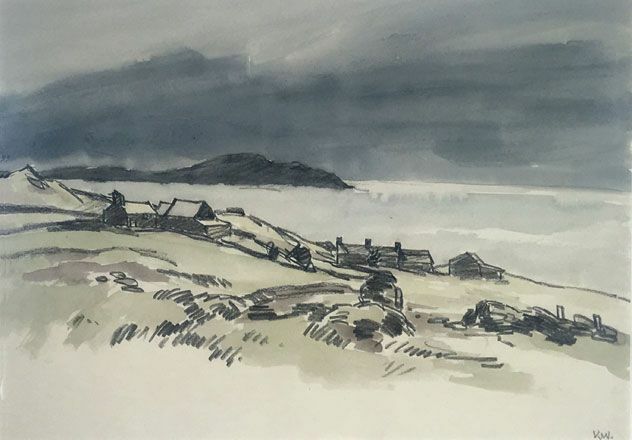 The exhibition is accompanied by a fully illustrated catalogue which includes an enlightening essay by Rian Evans, the writer and critic who knew the artist over many years. 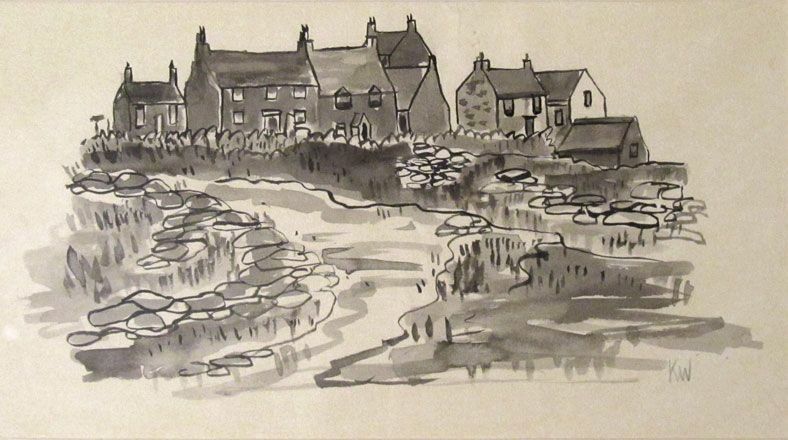 This promises to be a very special show and all works are for sale.